In addition, the suit also claimed the current system was inefficient and inadequate to fund districts at a constitutional and equitable level. 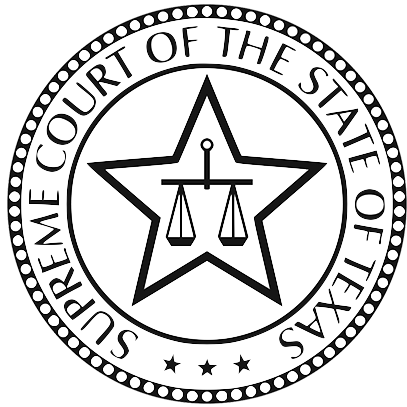 Then-Attorney General Greg Abbott, now governor, appealed the ruling directly to the state Supreme Court, which agreed to hear the case in January. “After nearly four years of successful litigation, the inequities in the current system remain critically excessive,” said Wayne Pierce, executive director of the Equity Center, which provided research and testimony for the Texas Taxpayer & Student Fairness Coalition representing the school districts in the suit. He said the system has long been broken, with many districts underfunded while taxpayers are burdened with property taxes. “It is not unusual at all for the poorest districts to receive 50, 60,000 dollars less per typical elementary classroom than what the state system routinely makes available in the wealthier districts,” added Pierce. Just as a reminder, the original trial was held in 2012 with the first of the six suits being filed in October of 2011; the final verdict was rendered last August after a rehearing in June of 2013 to consider the effect of that year’s legislative session. Abbott appealed the latest ruling last September, and here we are. Depending on how things go, we could have a special session sometime next year, or the Lege could try to address any needed changes in the regular 2017 session. If Judge Dietz’s ruling is upheld and the Lege is going to have to pony up a few more billion dollars to the schools, it will make for a very interesting session, that’s for sure. I think it’s fair to say that the plaintiffs are strongly opposed to Greg Abbott’s attempt to get Judge Dietz recused in the school finance trial. 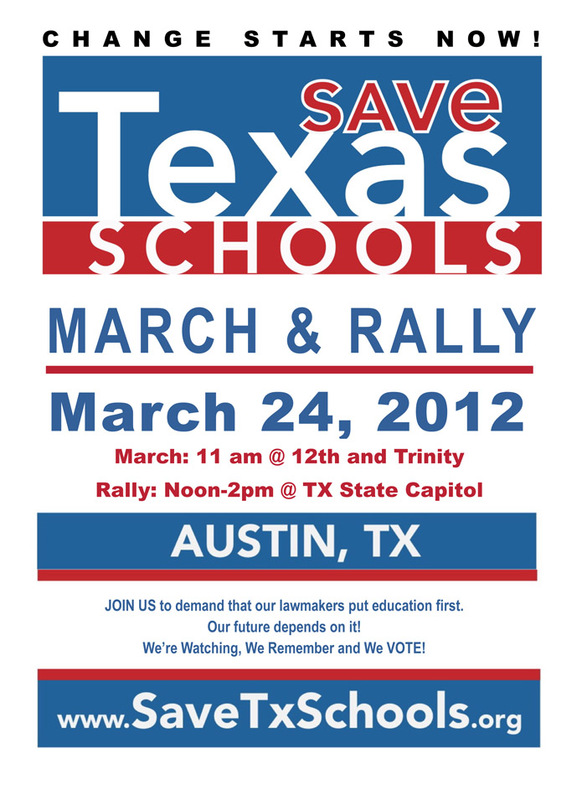 Lawyers representing hundreds of school districts pushed back Thursday against Texas Attorney General Greg Abbott’s effort to remove a judge who is weighing the constitutionality of the school finance system. The attorney general accused District Judge John Dietz of “coaching the plaintiffs’ counsel in order to improve their case,” and cited a series of emails this year among the judge, his staff and plaintiff’s lawyers from mid-March to mid-May. Those emails have not been publicly released. Plaintiff’s lawyers responded Thursday with a 49-page motion that says state attorneys have failed to prove that Dietz showed partiality. They also refuted the notion posed by the state that Dietz should not have a stance on the issue. “Having heard all the evidence, and having already announced his oral ruling from the bench in the first phase of the case, it is not only unsurprising but expected that Judge Dietz would have developed opinions about the facts and the parties’ claims,” the motion says. Another glaring omission in the motion is the State’s failure to acknowledge that it has participated in numerous hearings when exactly these same topics were discussed, in much the same way they are discussed in the communications the State challenges. All parties took part in hearings in which Judge Dietz provided instructions on how he wanted the findings to be revised, making clear that he was asking the ISD Plaintiffs to modify them in certain ways to better conform to his views of the law and the evidence, as considered and weighed by the judge during sixteen weeks of trial. (See generally, e.g., Ex. 26, 8/20/13 Tr. ; Ex. 34, 3/19/14 Tr. ; Ex. 36, 5/14/14 Tr.) Not once did the State or Intervenors ever object to the guidance provided during these hearings. In addition, the State and Intervenors have had—and continue to have—every opportunity to be heard on all of the factual and legal issues in this case. Finally, the State’s motion does not account for the unique challenges posed by this case which made the agreed-upon submissions of proposed findings not only appropriate but necessary. This case involves six sets of parties bringing seven different affirmative constitutional claims, as well as the State, which is defending against these claims. These parties collectively submitted seven different sets of proposed findings to the Court without service to the other parties, pursuant to the scheduling orders agreed to by all parties at the beginning of the case. Some of these submissions were hundreds of pages long. The parties agreed to this procedure to facilitate the judge’s review of the findings and to contextualize the evidence presented at trial, without having to disclose their internal work product and trial strategy. All were fully aware that the judge would need to direct counsel for the prevailing parties to integrate the separate submissions into one document (which now runs hundreds of single-spaced pages), and to modify the proposed findings to his liking, a task that his staff did not have the capacity or technical capability to accomplish alone. Understanding these challenges, neither the State nor the Intervenors ever raised an objection to these procedures. The State’s untimely and improperly verified recusal motion—which noticeably was not signed or verified by any of the State’s primary attorneys who appeared at trial—should be promptly rejected. Emphasis in the original. If there’s an equivalent to bench-slapping by opposing counsel, this motion is a pretty good example of it. If you do continue reading all the way through the document, you will notice how some variation of “neither the State nor the Intervenors ever raised an objection” is repeated over and over and over again. Those of you that read the recusal motion as a delaying tactic, such as the Wendy Davis campaign, these plaintiffs at least would appear to agree with you. Bexar County District Judge David Peeples will hear the arguments on June 20, and will hopefully rule in short order to dismiss the state’s motion. Stay tuned. The Travis County District Court judge overseeing a contentious trial over the state’s school finance system rejected a request by the attorney general’s office to recuse himself from the case. In an order signed Monday, Dietz declined to step aside, instead asking Billy Ray Stubblefield, presiding judge of the 3rd Administrative Judicial Region of Texas, to assign a separate judge to hear the motion of recusal. Lawyers for hundreds of school districts slammed the state’s motion as an effort to delay a ruling. If that were the attorney general’s intent, it worked, said Rick Gray, attorney for the Texas Taxpayer Student Fairness Coalition. Gray said Dietz likely won’t continue work on the case until the recusal matter is resolved. A ruling had been expected sometime this summer. It is unclear how much delay the recusal motion will add to the school finance case, begun in 2011. Court rules require the motion to be heard “as soon as practicable,” even allowing a hearing to be held by conference call, with briefs and documents to be submitted by fax or email. If the new judge denies the recusal motion, Abbott may appeal, but an order to remove Dietz from the case may not be appealed. Before the recusal motion, Dietz had been expected to rule by late June or July. A judge has been appointed to hear the arguments for this. Hopefully, we’ll get a ruling soon, as well as an updated opinion in the lawsuit. We’re back where it all began. The Texas Legislature failed to bridge funding gaps between wealthy and poor school districts despite partial restoration of funds that were cut, lawyers representing schools told a state district judge Friday. State lawyers countered that previous actions have addressed the plaintiffs’ concerns and the system is constitutional. Hundreds of schooldistricts sued the state in 2012 after the Legislature cut $5.4 billion from public school funding during the 2011 session. State District Judge John Dietz ruled the finance system unconstitutional last February. He reopened the trial in January to examine the effects of House Bill 5, an overhaul of the state’s graduation standards passed by the Legislature in 2013, and the state’s new biennial budget, which injected about $3.4 billion back into the school finance system. Dietz could rule by mid-March. It remains the case that public education is down $2 billion from the 2009 budget, and that’s before factoring in enrollment growth. It remains the case that many property-poor districts receive far less money per pupil than many property-rich districts despite having a higher property tax rate. It remains the case that the state of Texas thinks everything is hunky dory, just as it was in 2011 after $5.4 billion had been cut from public ed. And it remains the case that it will ultimately be the State Supreme Court that settles this. Assuming there isn’t a settlement, of course. State Sen. Wendy Davis, the leading Democratic candidate for governor, called on her likely Republican opponent Monday to use his power as Texas attorney general to settle a massive school finance lawsuit instead of defending the troubled funding system in court. 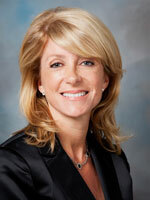 Davis said Monday that Abbott should have instructed the Legislature last year how to avoid the litigation. She said lawmakers could have avoided cuts that she said caused teacher layoffs, increased classroom sizes and led to the elimination of vital programs. The Davis campaign distributed a memo outlining past cases in which the state settled litigation, ranging from prison overcrowding issues to redistricting. It was written by Dave Richards, who has been tangling with Texas in court for decades on issues including civil rights and voting rights. (Richards is the ex-husband of the late Gov. Ann Richards). Davis was asked during the news conference how Abbott would settle a case that ultimately requires legislative action. She said he should advise lawmakers, probably in a special session, to consider changes to the complicated school finance system. I don’t think that would be terribly complicated, but it ain’t gonna happen. As has always been the case, Texas will have to be forced to do what is right. My guess is that Judge Dietz will rule in substantially the same was as he did last January, which is to say in favor of the plaintiffs on all counts. This time he’ll release a full opinion, which will be for the Supreme Court to suss out. Just keep in mind that if the ruling I think Dietz will deliver is upheld, the Legislature is going to have to find billions of dollars more for public education. Who do you trust as Governor to work with the Legislature to do that? The Observer and BOR have more. The Trib has a useful guide to the six (so far!) lawsuits that have been filed over school finance. Texas’ latest round of school finance litigation adds some new players to the courtroom, with interests that are more varied than ever before. We’ve created a cheat sheet to help you keep all six lawsuits — and the plaintiffs’ basic arguments — straight. Charter schools and a newly formed organization pushing for more school choice are both suing the state for the first time. Four different groups of school districts, by now veterans in the school finance wars, are returning once again. A judge has already consolidated these five lawsuits into one trial, and will likely do the same with the latest claim, filed by the Texas Charter School Association. In many instances, the plaintiffs’ arguments will overlap, but in some, their interests will conflict — that’s why there are so many different parties. The main thing to know as far as I’m concerned is that the TREE lawsuit is the skunk at the garden party. It’s the one of these things that isn’t like the others. I think MALDEF’s petition has a lot of merit, and I hope the judge looks favorably on it. Anyway, you can see all of the plaintiff’s complaints as well as a chart showing who’s alleging what and a summary of the key issues. Check it out. The Trib has a handy overview of the school finance lawsuits – who the plaintiffs are, who their lawyers are, and on what grounds they are suing. Among other things, it shows that I was correct in saying that there had only been three suits filed at the time that was written, with the Thompson lawsuit now in as of last Thursday. Anyway, since it’s often hard to tell the players without a scorecard, now you have a scorecard. Check it out. The Lubbock Independent School District announced Monday they will join the Texas Taxpayer and Student Fairness Coalition in an equity lawsuit against the state. Simply put, LISD is receiving less money per student because they are one of the poorest districts, and LISD claims that is unfair. LISD officials say the district currently receives $4,600 per student, where as Austin districts receive nearly $6,500 per student. Now they are joining 300 other Texas Schools and taking their case to the courtroom. “We remain constant in the 2005-2006 school year in terms of revenue. This past legislative session we were cut well over $13, almost $14 million dollars,” said LISD Superintendent Dr. Karen Garza. LISD says with those cuts from Austin, standards increased. For instance, The Texas Assessment of Knowledge and Skills Test will now be replaced with the State of Texas Assessments of Academic Readiness or STAAR test. LISD says that requires students to have more math and science with less money. “It’s largely contingent upon the legislature that eventually needs to fix some of the challenges and the issue in the ways schools are funded in the state of Texas,” said Garza. The Abilene Independent School District board of trustees voted unanimously Monday night to join more than 20 other school districts in a lawsuit challenging the constitutionality of Texas’ school funding system. “No fundamental change in the education system has ever occurred without going to the courts for relief,” said Stan Lambert, board president. The board voted to join a coalition of more than 20 school districts — including Fort Worth ISD, Austin ISD, Houston ISD and Katy ISD — being represented by Houston law firm Thompson & Horton LLP. Lambert said the firm’s David Thompson argued a similar case before the Texas Supreme Court six years ago and won some small changes in the education funding system. Lambert said the lawsuit was necessary because the state’s education funding system was fundamentally broken. There are more than 1,000 school districts in Texas, and Lambert said he expected more than half of them to join the lawsuit by the time it is filed. “We felt it was important for us to do our part,” Lambert said. So that’s one more district for each of the known lawsuits; the Texas Taxpayer and Student Fairness Coalition has already filed its suit, while the Thompson suit is still in the works. At this point I’m more interested in the reasons why a given district would not be suing rather than why they are. More will follow, it’s just a matter of when and how many. A coalition representing public school districts, taxpayers and parents filed a lawsuit against the state in Travis County district court Monday night. The Texas Taxpayer & Student Fairness Coalition claims the state’s public school finance system is unconstitutional because it does not treat Texas taxpayers and school children fairly. The group of more than 150 school districts represented by the coalition continues to grow daily, and many more districts, taxpayers, parents and even business owners are expected to formally join in the coming months, Gray said. Named as plaintiffs to represent the Texas Taxpayer & Student Fairness Coalition are the Hillsboro, Hutto, Nacogdoches, Pflugerville, San Antonio, Taylor, and Van independent school districts. The trustees of the Houston Independent School District are expected to meet Thursday to discuss possible legal options, according to HISD spokesman Jason Spencer. As noted in the wire story, this is the Equity Center lawsuit that I have blogged about before. You can read their press release here, and a copy of the complaint they filed here. Needless to say, I look forward to seeing this play out. The actual filing comes a couple of days after this Statesman story about the state of the anticipated litigation, which has a succinct summary of what’s at stake. At least three legal teams representing different types of school districts intend to file lawsuits soon. Schools argue that the system is anything but efficient because, they say, funding levels are arbitrary, irrational and inequitable. They maintain that the Legislature has once again levied a statewide property tax, which is constitutionally prohibited. Finally, they say funding is inadequate to prepare students to meet the state’s standards, which have been ratcheted up in recent years. The lawsuits will be combined for a trial that would probably be held next fall in Travis County, which could produce a district court ruling in time for the 2013 legislative session. A direct appeal to the Texas Supreme Court would almost certainly follow. In other words, despite the Equity Center’s hope of a 2013 conclusion, which would be in time for the next regular legislative session, we likely won’t get a resolution to this until 2015. It is possible that the Supreme Court could mandate a deadline before then, however, as was the case with the 2005 West Orange-Cove lawsuit, which required a special session to meet its 2006 goal. On the plus side, that ought to make fixing school finance a genuine issue for the 2014 elections. I can hope, can’t I? There’s a lot more detail in the story, so read the whole thing.